– ONE city per country, is not mandatory to be the capital or the largest city. – City should have at least 1 million people, never mind of Venice. – Should be taken in consideration as many points is possible, but biggest point is for the living conditions. This ranking is like “Best cities to LIVE” not “Best cities to VISIT (as tourist)“. – The ranking is not related with the photos. I just added one random landmark photo for each city. Advice: Look down at rankings one city at once, think yourself which could be next ranked city before looking to it. Please leave comments, praises, insults, etc… about my ranking. 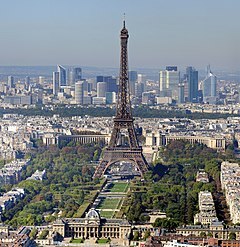 For a tourist, France capital may be the #1 city in the world. Most of city proper was built in second half of 19th century, before inventions of automobiles, streets are very narrow, traffic and parking is a major problem. Paris Metro have 300 km, but it have good coverage only in city proper, most of 10-million area have no metro access. At least Paris is better than London (too sparse) or Rome (insufficient metro). Most of Spain population lives in apartment buildings, there are a lot of pre-war beautiful buildings, Art Nouveau and Art Deco. Madrid Metro (283 km) have better coverage in a city of 4.5 million people, than Paris Metro. However the apartment buildings are really dense, 10-15 meters distance between facades even in the new neighborhoods, causing lack of green space and parking problems. Most people in Amsterdam live in low-rise apartment buildings and terraced houses, there is a lot of diversity in architectural styles, this attracts a lot of tourists. Amsterdam is one of the few places in the world where are more bicycles than cars, water is also a common form of transport in city center. Brasilia is the biggest masterplanned city of the world. Construction started in 1956, the city was inaugurated in 1960 and its construction continue today. It is the single city in Brazil where a large proportion of population lives in non-crowded apartment buildings, so it is one of the greenest cities in Latin America. Brasilia was planned with sectors for each type of institutions, and as a “city of cars”, streets being planned in such a way that even traffic lights would not be necessary. Residents need to travel long distance to reach their needs, is not pedestrian-friendly, lack of crosswalks, people risk their lives crossing the north-south highway, so I give it just 7th place. Entire Moscow city is dominated by massive neighborhoods with huge communist apartment buildings (usually 8-16 storeys and 100-200 meters long), and wide avenues Minimal distance between buildings is 30 meters, but in most cases is 50-100 meters. Russia capital is one of the greenest cities of the world and parking is not a problem. Moscow Metro is the biggest piece of art of the world, it have 300 km of lines and connects all apartment complexes. But the apartments themselves are small and crap quality, while there are many millionaires living in Moscow, most population live in bad conditions, so I cannot give it rank higher than 6th place. China is one of the fastest growing economies in the world. Shanghai is an ever-changing city and many communist apartment buildings are being demolished and replaced with modern privately-built apartment towers. Shanghai Metro is the fastest-growing metro in the world, it opened in 1995 and in 2010 it reached over 400 km of lines, overtaking London and became longest metro in the world. Traffic jams and pollution became a big issue so it occupies only 5th place. 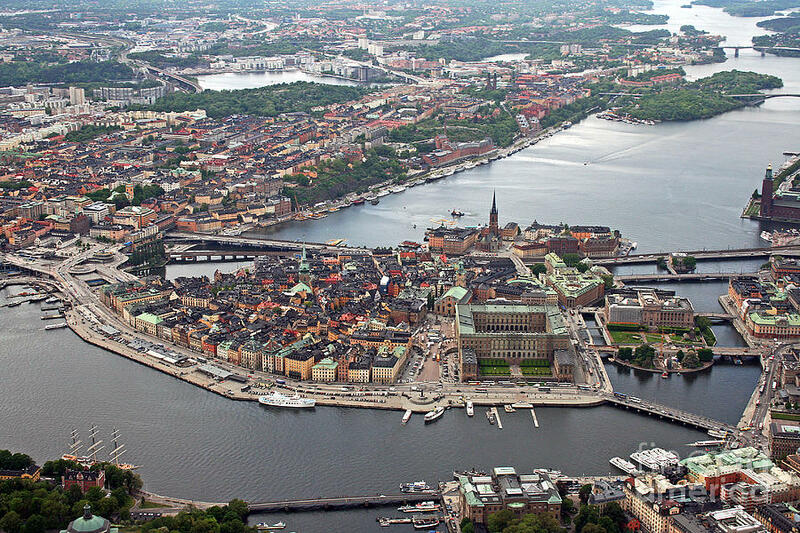 North Europe is as whole a good place to live, but Sweden have lowest income inequality in the world and Stockholm may have the longest metro (108 km) compared with deserved population. Hong Kong have the best skyline in the world, impressive aerial views, most vertical city in the world, huge residential skyscrapers but with smallest apartments in the world (average 40-50 sqm). Extensive public housing programme since 1954 helped the city to develop and now is home for half of population. Everything are so close and public transport is good so the cars are useless in central area. Hong Kong is one of the 10 most touristic cities in the world and also one of the safest cities. Due to high income inequality and many poor people, and the crowded situation may be not a good place to live (unless you are a billionaire to buy a decent size apartment), I give it 3rd place. Most people would be surprised that I have included Seoul in this TOP 10, as the city is not very beautiful and the lack of touristic attractions make it unknown for the rest of world… but it is one of the best place to live. South Korea developed quickly into a high-tech country, income inequality is one of the lowest in the world, crimes are also lowest, their population is one of the most civilized and Seoul is also one of the cleanest cities in the world. Centralized economy and mass housing programme appeared in 1960s. Rows of identical buildings are spread all around the city, giving an unpleasant look, but they offer the best apartments in the world (and probably the biggest – existing apartments average 110 sqm, new apartments in 80-200 sqm range), all fitted with high-tech features, and today more than half of population live happy in high-rise apartments. Korea have highest ratio of broadband internet. Seoul Subway have 314 km of lines but is linked with Incheon Subway and Korail sector, totaling 755 km, the longest in the world. Public transport is good, however increased automobile usage since 1990s leaded to pollution and parking is a hell in most residential areas. There is some controversy between Hong Kong and Seoul places, they are opposite, each one have what the other one do not have, different people may consider different things to be more important and invert the ranking. Singapore is the best place to live in the world, it beats Hong Kong and Seoul by combining the advantages of each of them. Singapore have best urban planning, best public housing programme with HDB since 1960 which today is home for 80% of population, best public transport which made cars not necessary, and is one of the safest cities in the world. Despite of being a country with only 700 sq km, it have decent apartment sizes (HDB average 95 sqm, but is falling, new apartments being in 60-120 sqm range) and it is one of the greenest cities in Asia. Singapore MRT opened in 1987 and reached 142 km of lines in 2007, including LRT lines. Many other lines are under construction or planned. It is the only major city in the world where parking lots exceed number of cars, traffic is incredibly smooth and pollution is incredibly low for a city with 5 million people. Singapore is also 3rd most touristic city in the world, after Paris and London, according Wikipedia. – How about New York, San Francisco, Las Vegas, Vancouver, Sao Paulo, Rio de Janeiro, Buenos Aires, Santiago, Cape Town, Sydney, etc? All cities from USA, Canada and Australia have large part of population living in landed houses, tall buildings and beautiful skyline are only in downtown, rest of cities are too horizontal, making public transport to be inefficient. Rail infrastructure is insufficient, cars are necessary for daily life, all of these make the life expensive and causes big pollution, which leads to a lot of other problems. Also entire North and South America is not a good place to live due to high income inequality which turns into high crime rate. Rio de Janeiro and Cape Town are the cities with most beautiful geographic landscape, obviously after Hong Kong. It is currently a big working site, I want to wait more years before giving it a place in the top, but anyway only a small area of the city have skyscrapers. Having Burj Khalifa the tallest building in the world does not mean that is the most beautiful city or best living conditions. Tell me an advantage of Japan compared with South Korea. Tokyo is uglier than Seoul, it have too many landed houses and many old buildings. The city is really beautiful, well planned, and have one of the lowest pollution in the world, thanks to lack of rights of car ownership in North Korea. If this ranking was not about “Best cities to LIVE” I would include it. – How about Kabul, Ciudad Juarez, Chernobyl… !? LOL… The single place where Chernobyl-Pripyat is ranked #1 is the amount of green space per capita! Shanghai is a very developed city but very densely populated and crowded. My biggest problem with living in Shanghai is that at 6pm you do not want to be in the metro or anywhere underground if you are claustrophobic. At the same time taxis will be extremely hard to find as they “stop” their services during rush hours. For most Northern American cities I would agree that public transportation can be problematic but not for all. Chicago is a city in US where transportation is not inefficient and a lot of people still live comfortably in landed properties. Barcelona could be on the list. I agree about Singapore. Their government is constantly putting effort to improve already good living conditions there. How about Sydney? I think it’s worth in top 10 cities. NO! For same reason like all North American cities: too few apartment buildings, too horizontal city, car-dependent city, pollution, etc. PS: did you left comment primarily to link your website? links in comments are NOFOLLOW, and users don’t bother clicking comment names, so you won’t benefit anyway.